The small group of évolués and university graduates used the ethnic conscience of the masses, be it artificially created or not, in order to lift themselves to the top during the elections prior to independence. 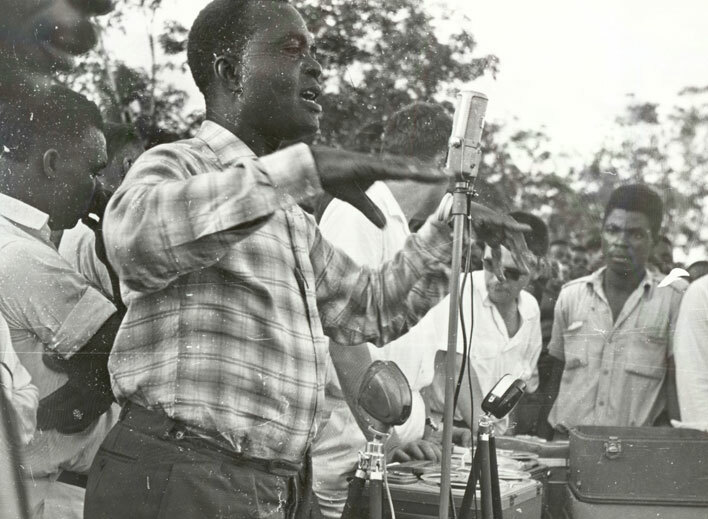 Photograph of the speech about the the approaching independence held by adjoined commissioner general for Information Bolikango at a manifestation in Yangambi, 27 October 1959. NAB, Archives INEAC, no. 7398b.